"Good food, humanely and sustainably raised." Red Wattle Pork Available! "Best Bacon Ever"
We are taking orders for half hogs to be delivered to the processor Reasons Locker in Buffalo Prairie on March 1, 2019. It's more or less the best pork you can get, raised on pasture. It's marbled red meat with great taste. I re-discovered pork once we started raising our own. Truly a difference for the white meat standard of commercial hogs. Price per pound is $2.50, with an additional $1.00-$1.50 to the processor Reasons depending on how you like it cut. A half of a hog is around 100 lbs of meat on average. 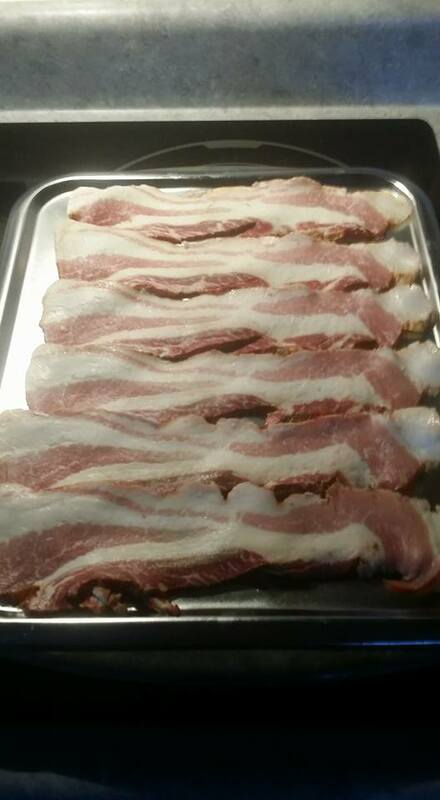 "Best bacon ever!" - A recent customer. 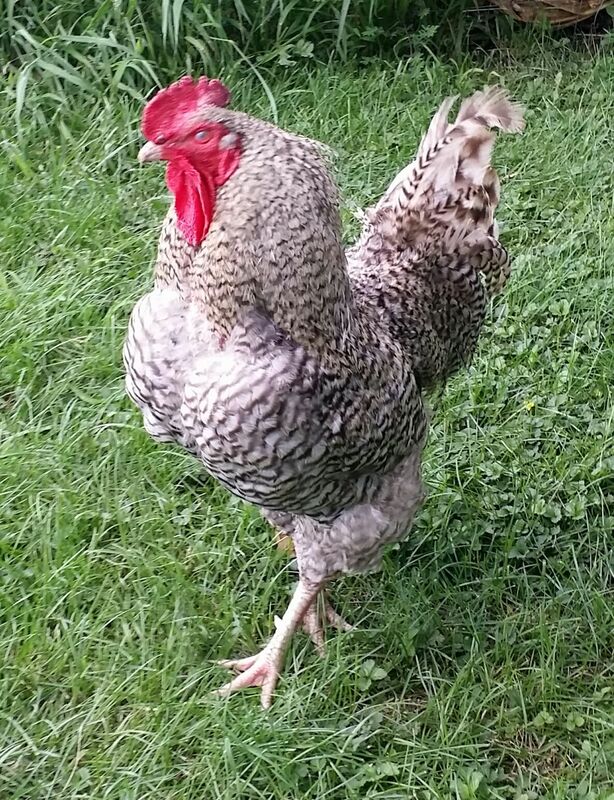 Email Suzanne Hoke holevoetfarms@gmail.com or text/call 309-236-1244. Don't wait. We only butcher once or twice per season, and quantities are limited. Thank you to all of our customers for supporting Holevoet Farms! Need compost for your garden? 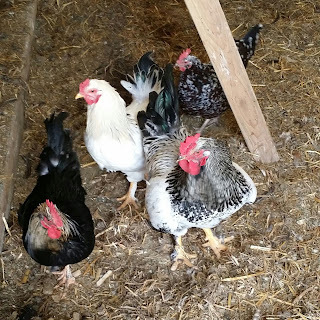 Chicken bedding is one of the best. Message us and we can make some arrangements. You get a rich organic matter that slowly degrades throughout the season. Please see link to download the customer information sheet if you have ordered a whole or half hog. Return via email to holevoetfarms@gmail.com. Pigs are bacon with a shovel. Last year's Red Wattle offspring are going to the processor in early April and early May. We still have just a few half hogs left, and will be selling cuts afterward as available. Message us on Facebook or at holevoetfarms@gmail.com and we'd be glad to talk. 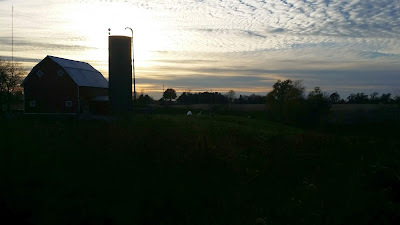 For whole and half hogs, we are asking $2.50 per pound hanging weight to Holevoet Farms. Then the processor will typically charge between $1.00 and $1.50 per pound on average depending on cuts. This puts the final cost on the order of $3.50 to $4.00 per pound, which is competitive with commercial pork but you get a much tastier, more nutritious pasture raised hog. 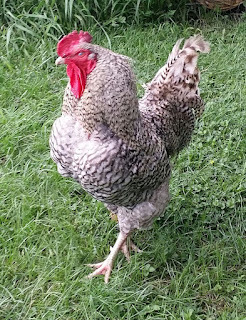 A slower grown heritage breed will usually have a darker color and much more flavor than conventional pork. 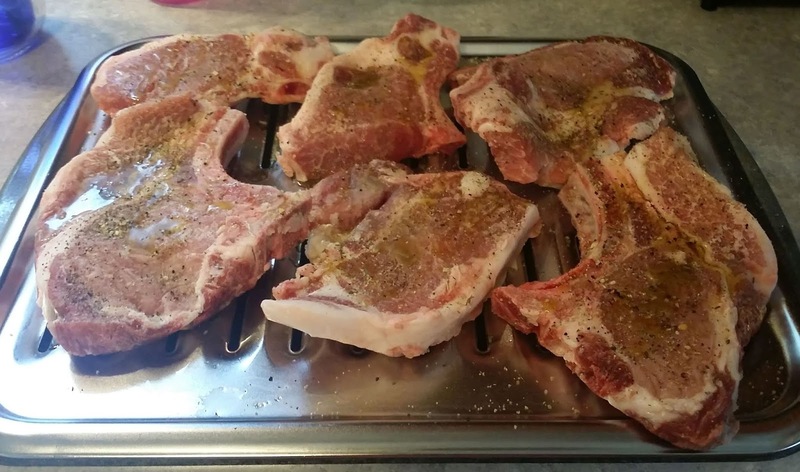 Pork was once something besides "the other white meat." It still is, among small producers. We typically use Reason's Locker in Buffalo Prairie, Illinois and have done so for years. If you have another processor within driving distance that you prefer, we'd be happy to talk about details with you. 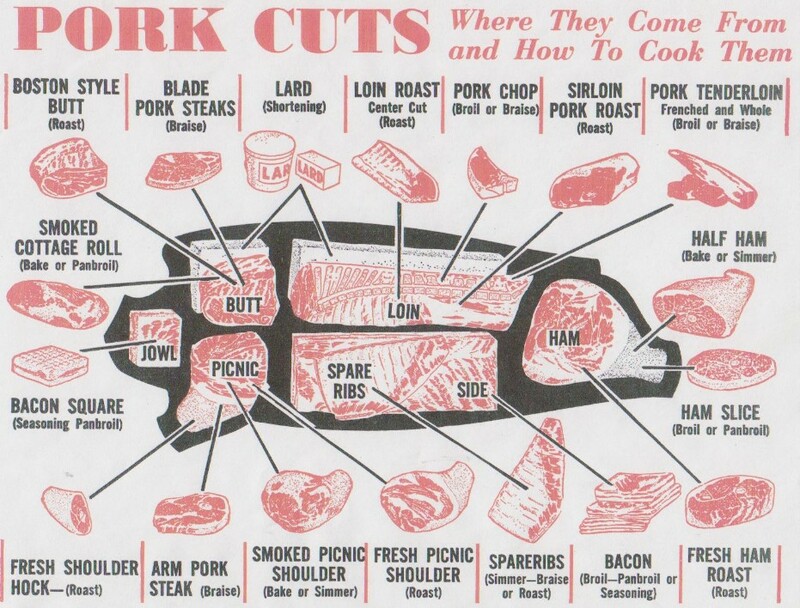 Here's a good guide to pork cuts. Our hogs are raised to be around 270-300 pounds at age 9-11 months. This is quite a bit longer than modern commercial breeds, but a slower growing animal has benefits in taste. It pays to wait sometimes. 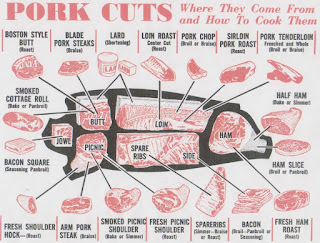 Here are some of the cut possibilities in pork. When it gets close to processing time, we or the processor can talk you through the details.